Tennessee Tech University officials have ended plans to establish an Intelligent Mobility Research Center in a partnership with Fitzgerald Glider Kits after a university research misconduct investigation discredited a university study that concluded in some cases glider trucks polluted less than newer heavy trucks. 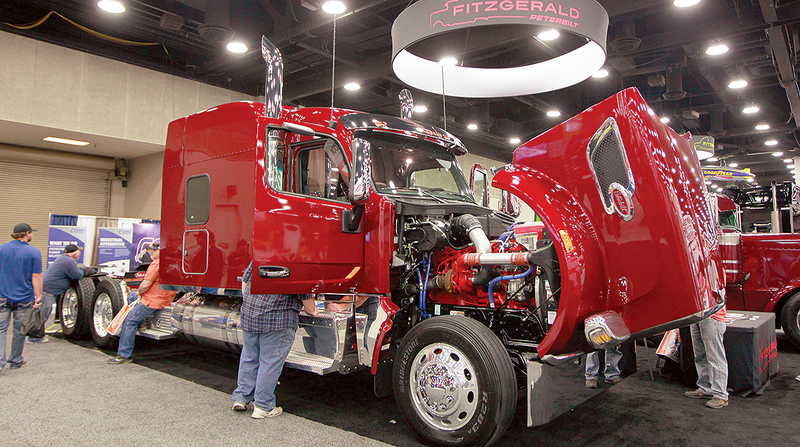 The TTU study, funded by Fitzgerald Glider Kits, was used to buttress a November 2017 proposal from the U.S. Environmental Protection Agency to repeal an Obama administration provision that limited the number of glider trucks at 300 per manufacturer. Further action on the proposal currently is in limbo and the limit remains in effect. The partnership was announced in August 2017, outlining plans for a Tennessee Tech programs and research center to be shared with the Tennessee College of Applied Technology Livingston at a facility on Fitzgerald property. But the plans were nixed by TTU after the research misconduct investigation was completed. “The facility has not been built and there is no current discussion about this particular public/private partnership,” said the TTU statement provided to TT on Dec. 4. “This is an example of private industry recognizing a need and partnering with higher education to meet the needs of the workforce,” Myra West, president of TCAT in Livingston, Tenn., said at the time. • The glider study’s initial principal researcher, Tom Brewer, until recently TTU’s associate vice president for strategic research initiatives, is “no longer with the university.” TTU declined to comment on the reason for his departure. • Prior to the research misconduct investigation results, in June 2017 TTU shared what it now calls inaccurate study findings in a letter to Rep. Diane Black (R-Tenn.). • The university received lawsuit threats from Fitzgerald, and as a result asked faculty members to preserve all e-mails and other correspondence. TTU’s counsel, Kae Carpenter, sent a letter to all members of the university’s faculty senate on Feb. 28 “about a pre-litigation hold on all documents and correspondence related to Fitzgerald Glider Kits,” according to the minutes of a March 5, 2018, TTU faculty senate meeting. • The faculty expressed concerns as early as February that the glider research issue could lead to a potential loss of grant funding from Washington, and the possibility of losing many young faculty members. However, the university’s statement this month said that TTU has continued to receive a large number of grants. In the most recent year, 2017-18, the school received the third-highest total for sponsored research in its history with $16.4 million. Fitzgerald did not respond to a phone request for comment. However, in the past the company has said that if the regulation is not repealed it would be forced to reduce its workforce by 90%. The 2017 study has been at the center of a fight over attempts by the EPA under the Trump administration to lift production limits on the glider trucks, which are trucks with new bodies and remanufactured engines. Fitzgerald is a proponent of repealing the caps. In an Oct. 23 letter to Tommy Fitzgerald, CEO of Fitzgerald Glider Kits; the EPA’s acting administrator, Andrew Wheeler; and Black , TTU described as “inaccurate” its earlier conclusion that “optimized and remanufactured 2002-2007 engines and OEM ‘certified’ engines performed equally as well and in some instances outperformed” engines that were compliant with 2010 EPA emission regulations. Tennessee Tech did, however, defend the study’s research methods. The letter was written by TTU vice chairman of the board of trustees, Trudy Harper, who was appointed to make the final decision on the investigation results after university President Phil Oldham recused himself from handling the investigation.